Tweet With #TribalChix About Survivor Tonight! A bunch of you know that I’m a Survivor junkie. And that I’ve even tried out to be on the show several times. One of the questions the folks from Survivor always want to know is what three (3) non-survival related items you would take with you to a remote location, and why. I’ve thought about this at length. As it turns out, two of my favorite blogging buddies, authors Tiffany White and K.B. Owen, are die-hard Survivor fans, too. And we decided that tonight we’re going to tweet live during Survivor. We’re going to use the hashtag #tribalchix, and we’d love it you would join us in the conversation. So grab your torches and join the #tribalchix tonight. You know, until the tribe has spoken. It’s game on at 8 PM, EST. What talents/skills would you bring to the island? If you were stranded on an island, who would you most want to be stranded with? This entry was posted in When Life Doesn't Fit in a File Folder, Writing Life and tagged Survivor, Television, Twitter. Bookmark the permalink. So bummed that you were in a different time zone! Poop! I admired your dedication – and you willingness to sit through last week’s show before realizing, um..no, you weren’t watching the same episode. You are the best Susie! So what did you think of the show last night? Who do you want to win? And how do you think you’d do on the island? I hate drama so I wouldn’t be sucked into a lot that happens. I also think I am a pretty good body language viewer and could tell if people are lying. I don’t know if I could handle not eating for 6 weeks… I am MacGyver when it comes to making do with the elements jerry-rigging stuff. Bring on the fishing! Who knows…. Oh, I’m pretty sure that I’d have a hard time staying silent to a lot of the stuff that’s been going down on the island this season. If you haven’t been following along, you don’t know about Brandon, but I plan to write about that, so I’ll save the commentary for now. Let’s just say, the show has changed this season. Can I be a part of #Tribalchix if I promise to shave my legs prior to the show? Sorry Renée, it would have been fun, but I ended up changing my mind after attending a gut-wrenching viewing. A good friend of mine lost her 3-year-old girl. She was simply the cutest, most adorable little thing to walk this planet. 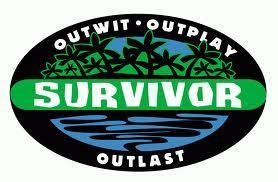 After watching the family struggle for composure and strength, I couldn’t talk myself into watching “Survivor”. But, give me another reason to shave my legs for y’all and I’ll do it! I’m so sorry to hear about the terrible loss your friend has suffered. There is nothing worse than the death of a child. It upsets the natural balance of things. I’m just so glad you were there to offer solace during a most difficult time. To be honest, I believe we are here to comfort each other, love each other and raise each other up. Not to backstab each other and betray each other the way people do on Survivor, so I’m not sure why I’m so fascinated by the game. People aren’t very nice to each other. And this season – in particular – it seems like Jeff Probst has made some really weird decisions about letting people be cruel to each other. You are a good friend, Zack. Better you were there for your friend. Thank you Renée. I am fiercely loyal to friends and what I believe in. I WAS really fun. Can’t wait to write everything up. I have my angle. I think. Since I am a lover of Table Tennis I would being my paddle. And a Ping Pong Ball. It is a celloid material that makes fire. You never know when you need to make a campfire. I’m a Survivor fan, so I’ll be watching too. I’ll try to pick up my laptop for at least a little bit. I can’t tweet from my phone. I need to talk to you. About Survivor, maybe. But about other stuff, too. #IYKWIM. Book stuff, if that offer is still stands. I know it won’t surprise you to find out I’ve been watching Survivor since season 1. JENNIFER! Omigosh! I have you phone number. We need to talk. And not about Survivor. We just need to actually find a moment. Meeting you at BlissDom was not enough. 🙂 So, um, who do YOU want to win? Isn’t that the show where people eat live cockroaches and such? Gross! I’m going to write about that, David. They got rid of that part of the show for a looooong time, but they brought it back last week. I think Jeff Probst is really making so interesting decisions this season. And by interesting I mean controversial and ratings-grubbing. This season might destroy my love of Survivor. But probably not. Renee, I would classify all three of your items as survival items! Tweet ya later! I don’t know, Faith. I’m not sure what they actually allow. I’d HOPE that Tampax would be considered a necessity. But no medical kit; that I’m sure of. Maybe you could bring ONE Band-Aid. I read that they do provide tampons to the women. (I think in an interview with Jeff Probst a while back). And yeah, I’m surprised they don’t provide them with some sort of medical kit, like with some neosporin. And I’d definitely need sunscreen, too. How are they all not getting bad sunburns??? Fun! I would definitely want your three things plus tweezers (for stray hairs in weird places) and a hairband (always have one around my wrist). And I will write about your Survivor adventure on my blog every week once you’re picked! Yay #tribalchix! I popped in to see what you #tribalchix were up to although I knew I couldn’t hang around (I’m about 400 emails behind at the moment after my book launch!) and you were all hilariously entertaining as usual. I managed to catch Tiffany’s comment about her dog farting and have a good laugh before I checked out. This was a great idea Renée! Surely Survivor will finally realize you were made for their show! Tiffany’s comment was hilarious. The show was kind of dull — until the last 15 minutes when everyone was scrambling around and then — DUN-DUN-DUN! Tribal council! can’t wait to write up our experience tweeting live together. It was so much fun. Amber West was there, and she doesn’t even have TV, so she couldn’t watch it. She was just adding commentary based on what we said. It was a riot! I don’t think I’ve watched Survivor since Johnny Fair Play pulled his Dead Grandmother stunt many years ago. I just haven’t been into it. I’d bring food. Cereal, I think. Honey Nut Cheerios. I love those things. You don’t need milk. They are high in fiber. They taste good. I’d also bring a couple of good books. Maybe more than a couple. (I’m not a team player; that’s why I’d never be good on Survivor.) Anyway. my blog is http://mairedubtx.wordpress.com You asked about it. It isn’t very exciting. I try to answer the Daily Prompt unless it doesn’t catch my fancy. And I write book reviews ( a lot) for my book challenge. And film reviews ( a few) when I happen to go to the movies or see one on the TV (which isn’t very often). Maire, you could turn a boring daily prompt into something magical. Where do you find it? Can you send me the link. It might help on days where I’m bone dry! Debra: It was last night. This is why I wish people wouldn’t auto tweet posts! No worries. But I saw a lot of people auto-tweeting. I feel kind of bad. I just shot out a new poem that was planning to use later in the month to drive traffic toward something new. I’m still grateful that you came over to say hi! You’re the BEST! Oh, Margaret. Don’t feel left out. But you are right, the show is very American in that people are willing to do anything to try to win a million dollars. It’s kind of like Lord of the Flies. Google it. 😉 Or don’t. NO FREAKING WAY! That’s soooooooo cool! I love that you know someone on the show! YOu’ll have to tell me what kind of agreement he’s sworn to regarding how much he can divulge after the show. I’d LOVE to know just how scripted the show is — or isn’t. Who are you rooting for? #TeamMalcolm! Enter your email address to follow this blog by email. Then push the button below! It’s Me With The Face. I was prescribed Klonopin for insomnia in 2005. Seven years later, after a slow, medically supervised wean, I became cognitively impaired, and after 30 months of intense suffering, I have been resurrected - a phoenix, come from the ashes, ready to battle doctors and big Pharma, while offering empathic support to those still suffering protracted withdrawal symptoms. A perfectionist by nature, I'm learning to find beauty in the chaos. I'm the girl with the big ideas and the big hair. And words. Always words. Are Your Hands In My Drawers? © renée a. schuls-jacobson's blog 2010-2016. All rights reserved. Excerpting portions of posts and/or linking them is encouraged, provided full and clear credit is given to renée a. schuls-jacobson with proper attribution via hyperlinks directing folks to the original content. Duplication in whole or substantial portion of this site or any component is not permitted: neither is reblogging. Seriously, don't steal my shizz. It’s My Shizz! Get Your Own! renée a. schuls-jacobson's blog is licensed under a Creative Commons Attribution-ShareAlike 3.0 Unported License All work at http://rasjacobson.com is protected. Guest posts are intellectual property belonging to the original authors.